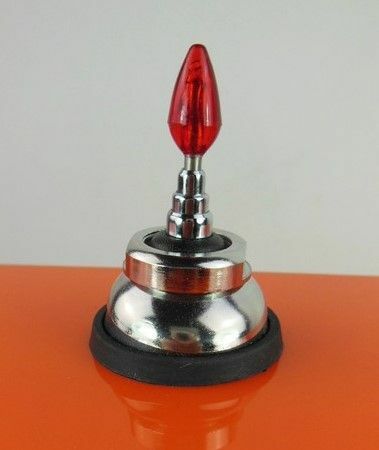 NEW CHROME MANUALLY TELESCOPIC AERIAL WITH THE RED JEWEL EFFECT TIP AUTHENTIC TO PORSCHE 356 AND MERCEDES 190 SL. 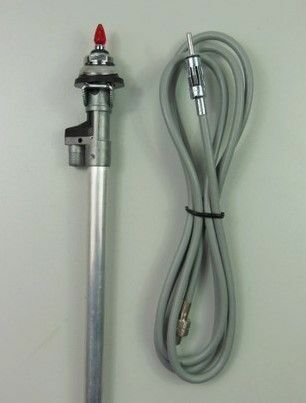 THIS IS THE HIGHEST QUALITY CHROME PLATED AERIAL. PERFECT FOR A SHOW, CONCOURS OR SALON READY RESTORATION. PARTICULARLY AUTHENTIC TO MERCEDES 190 SL WING MOUNTING SINCE THE ORIGINAL OPTIONAL ELECTRIC AERIAL WAS SHAFT DRIVEN AND THEREFORE OBSOLETE. MOST CURRENT ELECTRIC OPTIONS ARE SIMPLY TOO LARGE TO FIT. 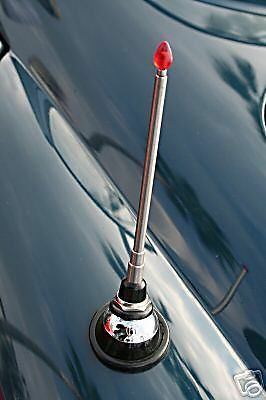 VIRTUALLY ALL ORIGINAL 190SLs CAME WITH THIS MANUAL ANTENNA.